WHAT? 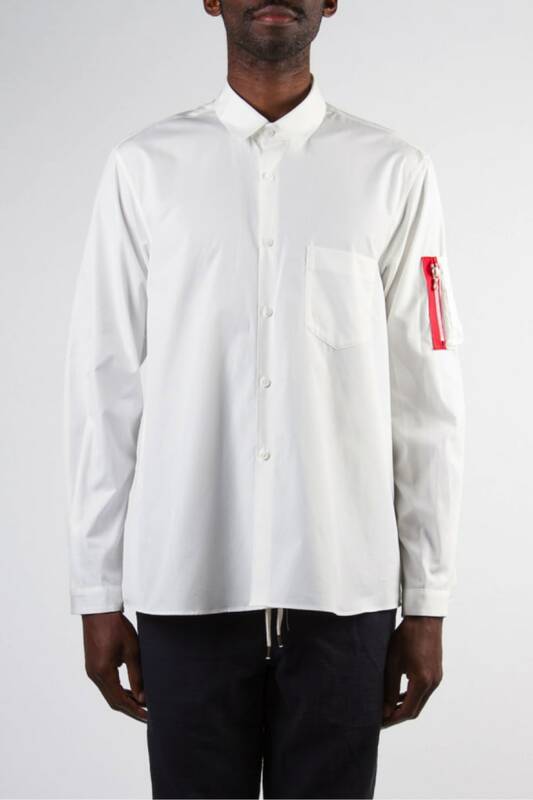 THIS SHIRT HAS AN MA-1 STYLE SLEEVE POCKET. Now you can keep, like, a dollar in quarters and your student ID card in the sleeve of your shirt since the chest pocket and the five pockets on your jeans are already full. You know this shirt is cool solely based on the fact that you have to call the store to buy it because somehow using your telephone limits a brand’s over-exposure or something, regardless of the fact that you found out about it online and can look at it on an online store.